The George Restaurant and Bar truly is a family affair. From Charlotte in the kitchen to Karen overseeing the front of house, we believe that good service comes from a good team – and what team can be better than a family? That feeling is continued in the way our customers are welcomed as part of the family. We know many by name and they are welcomed back time and again. That is not to say that new customers are left out, they are welcomed just as warmly and enjoy the same hospitality. Old friends and new alike, everybody is welcomed at The George. We are proud to have won Kent Dining Pub of the year in the Taste of Kent Awards three times in the last four years and achieved runner up in the fourth. It is the county’s longest running and most prestigious annual produce awards. 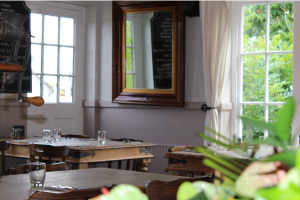 Our restaurant is an extension of our home and we want you our customers to feel part of this. 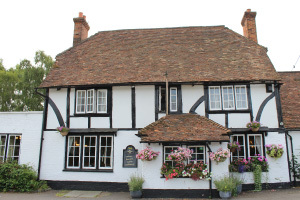 The George is a lovely building in a beautiful location, serving sensational locally produced food and drink in a relaxed and friendly atmosphere. 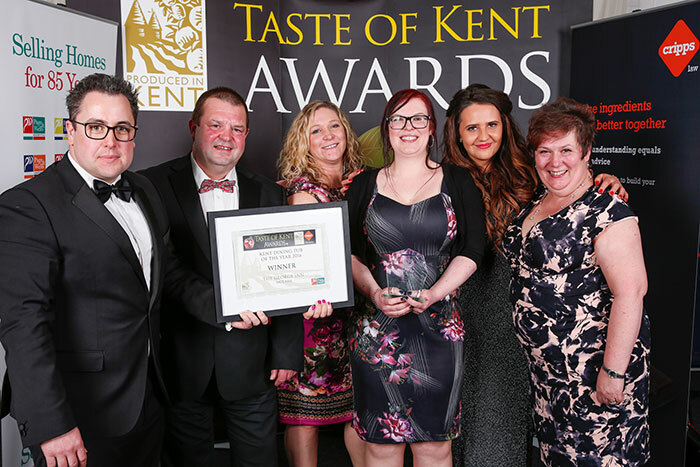 We are proud to be a member of Produced in Kent, which is a membership organisation that is dedicated to championing local food, drink, products and services in Kent. 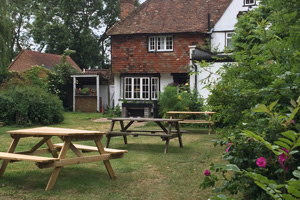 We provide vital support to a diverse range of businesses which in turn are providing valuable employment opportunities in Kent and are at the economic heart of our rural communities. Produced in Kent is a strong, widely recognised brand, benefiting and promoting its membership businesses. It provides business support, advice and sales opportunities to businesses throughout Kent. 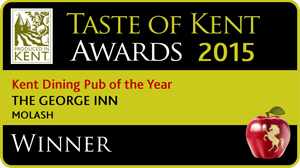 We are committed to promoting the best Kent has to offer. Our role is to promote local and seasonal produce and to provide support and services to our members. 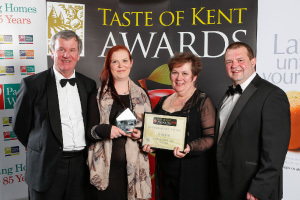 We produce a guide to food, drink and craft in Kent called KENT’S FINEST. Available free of charge, please email us your name and address to info@producedinkent.co.uk or call 01732 853170 to get your copy. Alternatively, you can pick one up at one of our events.